When we are talking about a stylish bedroom, many people will misunderstand that it is something they cannot afford. It is false because you can do it in short time, less effort and less money. 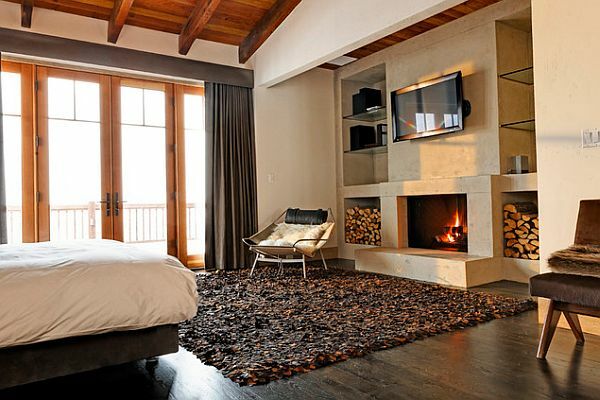 A stylish and contemporary bedroom can undeniably change your mood because it is where you start and end your days. Even without this intention, you should at least keep the bedroom neat and organized. Nothing is impossible! Let’s read what you can add on to your bedroom style? Let’s be random. Do not hang the pictures in an organized manner, for example grid. If your bedroom is spacious, you could put down on the floor and lean it against something/ It would open your eyes since it is a fresh way rather than hanging it on the wall as usual. Always, it do the best with abstract or any artworks but not your family portrait. Swap your furniture, as long as they are not worn, if you do not have budget to purchase a new set. Assume that your bedroom has only bed and closet, you can add on a table or move the coffee table in your living room to your bedroom. You can make it as a working table but you would need a bigger and taller table. Or else, you could just put it aside for decorative purpose. It would not be a waste when you place books or potted plants onto it. You must need your pillow to deserve a good night. However, an unique-looking pillow could touch up your bedroom elegantly. For example, you could pick up embroidered pillow during the Chinese New Year celebration. In summary, you could conclude it as a game with fabric material and design to make it more fun and appealing. Compared to the above, it is the least useful accessorize. Still, it can provide the warmth and harmony feel. Besides, it really spices up its visual appearance. Go to the home clearance sale and it can be possibly found there. It is how your bedroom can look “rich” and stylish. Anyway, floor is not a part where you should overlook. A new wallpaper, bedsheet, cushions, curtains could give you a fresh feel and look in your bedroom too. Saying about budget-wise, you could do it yourself if you have a pair of good hands. Alternatively, you should buy the stylish and useful accessorizes so that they are not for decorating your bedroom only.